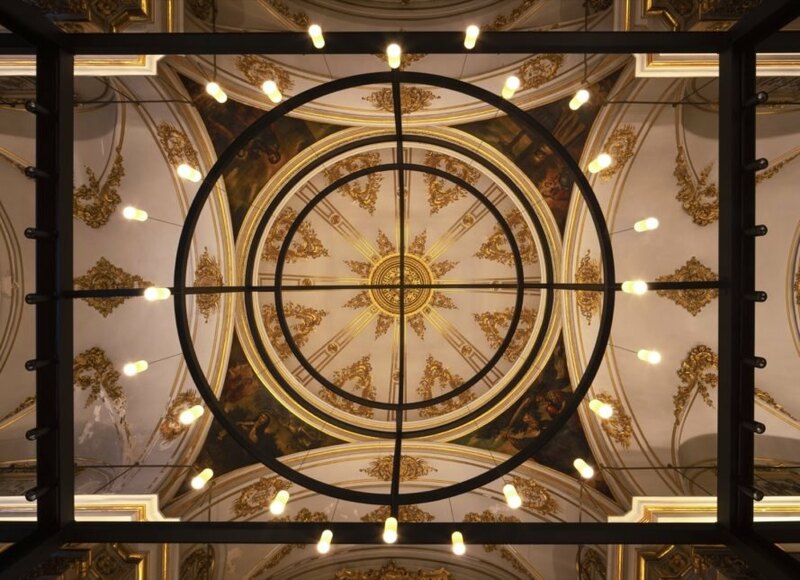 In the heart of Valencia, Spain, the old convent of San José has undergone a sensitive transformation that has turned the historic site into a vibrant gathering space for civic events, a food market and a soon-to-be hotel. 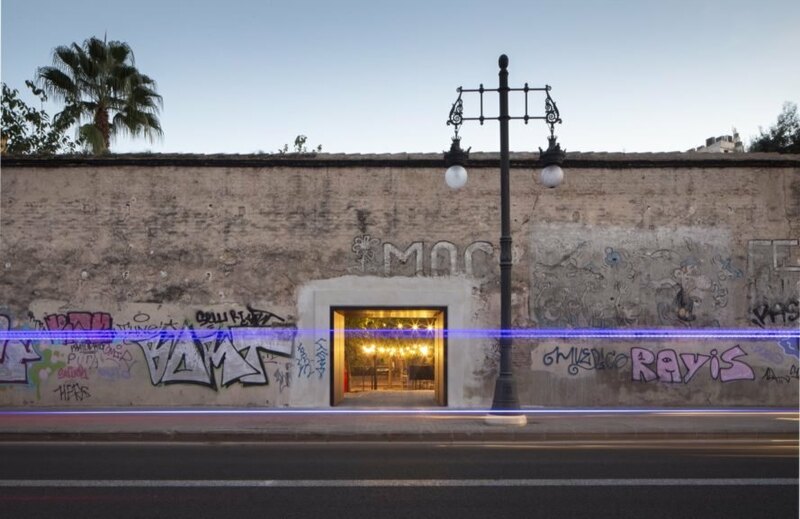 Barcelona-based interior design practice Francesc Rifé Studio was tapped for the adaptive reuse project and inserted modern updates while preserving the property’s architectural integrity. 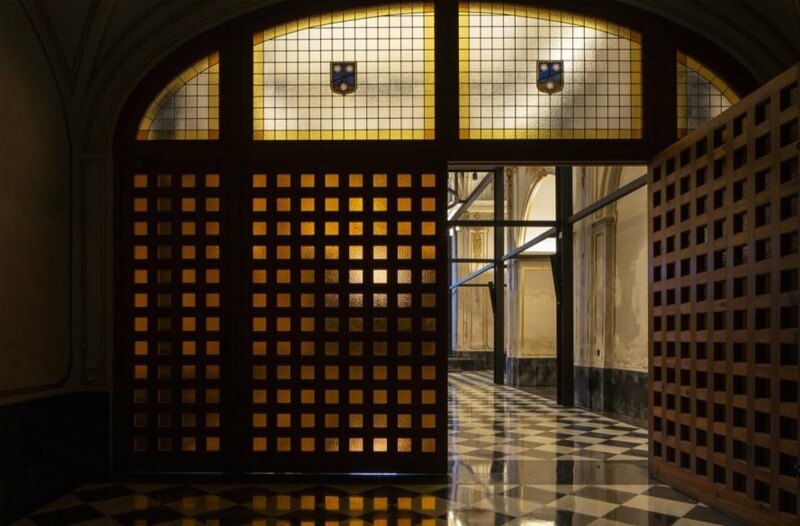 The renovation project was completed this year under the name of Convent Carmen. Built in the 17th century, the church has been modified into the main access point for the site and been remade into a multifunctional venue and “21st-century sculpture.” Metal framework was installed to give the space a contemporary edge and to house all new light fixtures and other elements in order to leave the original church walls untouched. New audiovisual technical elements, for instance, including an adjustable color lighting system with RGB, was fitted into the structure. 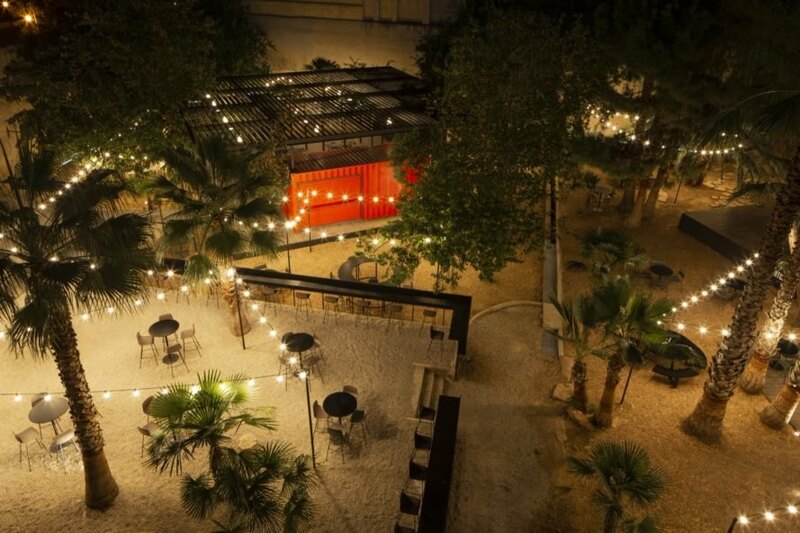 Outside the church, the garden has been redeveloped into a “gastronomic market.” Shipping containers were repurposed into small-scale restaurants offering different types of cuisines, from fried Andalusian to Japanese sushi, all coordinated by Michelin-star chef Miguel Ángel Mayor. The casual setting, illuminated by fairy lights, features shared and varied seating options built mainly of tubular metal and phenolic surface boards dyed black. The addition of palms and other trees give the outdoor space an oasis-like feel. 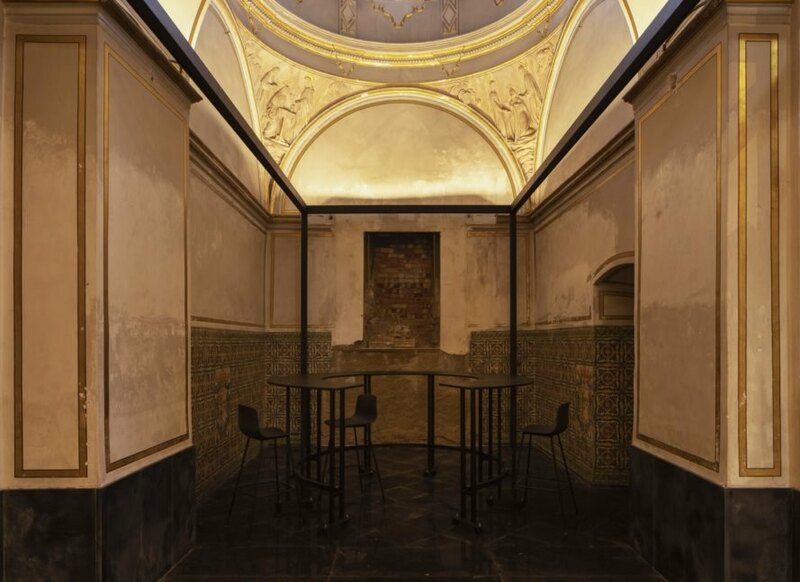 Francesc Rifé Studio has upgraded a former convent into a lovely community space for dining and entertainment. The designers used metal framework to hold lights and other elements; this made it possible to not touch the original wall and ceiling details. Dimly lit spaces provide an intimate setting. The sensitive renovation kept many ornate details intact. In addition to event space, the former church now hosts a food market. 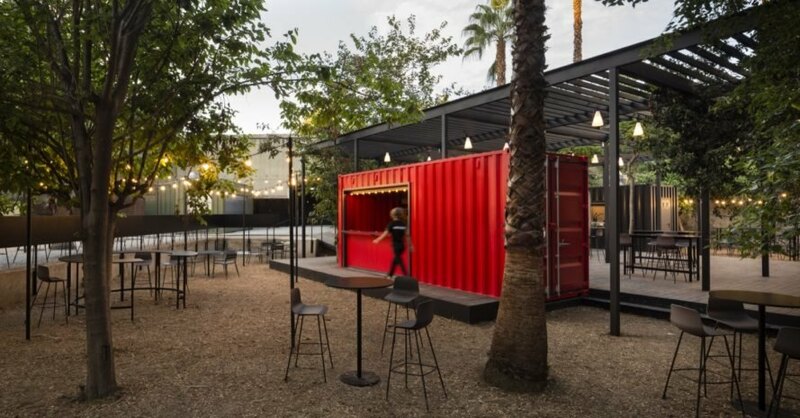 Shipping container restaurants offer a wide variety of cuisines. The outdoor dining space is illuminated with twinkling lights. Michelin-star chef Miguel Ángel Mayor coordinates the dining offerings. The inconspicuous exterior hides a glamorous entertainment hub inside.